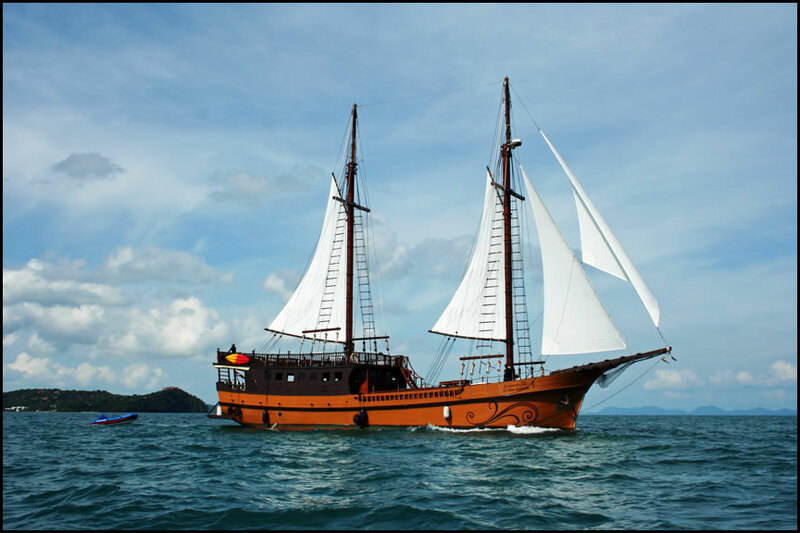 Diva Andaman offers high-class and classy boutique scuba diving and cruising into the very heart of the Similan Islands and the Mergui Archipelago (Burma) -all voyages depart from Phuket or Ranong in Thailand. Throughout the trip, our guests will be captivated by the grandeur of the dive sites and islands of the Andaman Sea; being spoilt by our crew whilst pampering yourself with the finest Thai, Asian Cuisines as well as western style food also served. 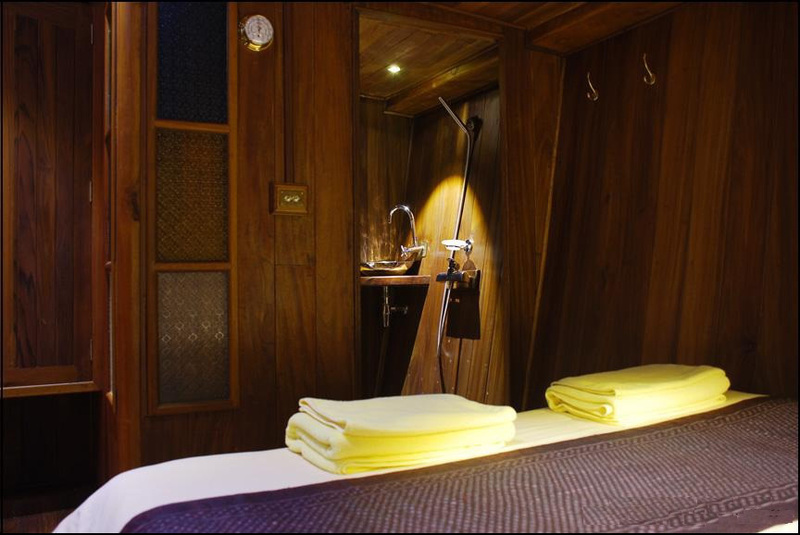 Book and pay 6 months in advance for 5% discount! Dive guide / Dive Master. All meals & soft drinks. 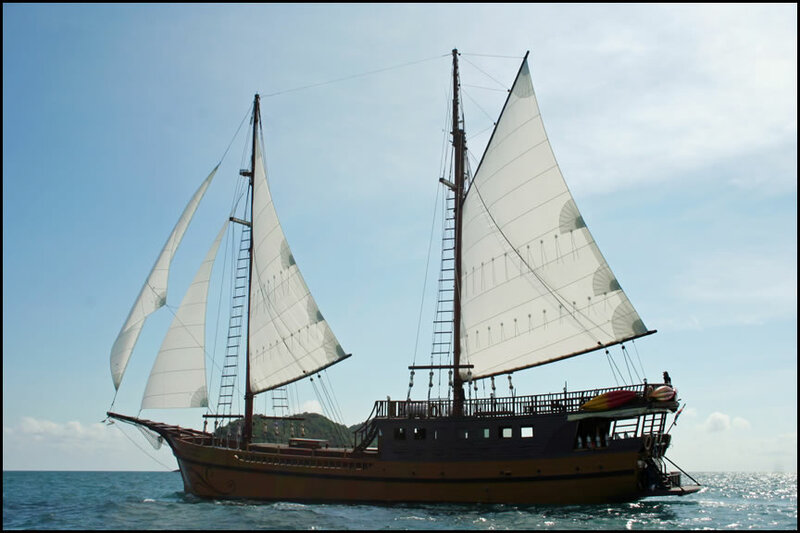 Diva Andaman is thirty five metres in length with a seven metre beam. 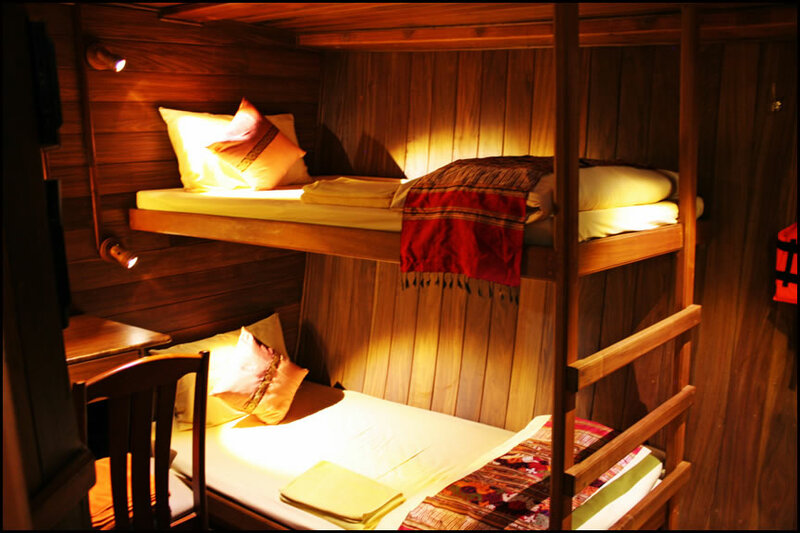 Diva holds seven deluxe and comfy cabins all of which are of course fully furnished. 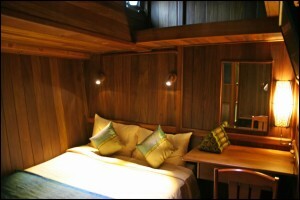 All the cabins are fully air-conditioned with en-suite bathrooms and flat screen TV’s. She has the capacity to hold fourteen guests and guarantees that everybody who set sail in her will have a true sensation of seclusion any place onboard. You can take full advantage of a peaceful indulgence dive cruise with serene panoramic views, whether you are a diver or non-diver, we are confident that you will love Diva Andamans inclusive variety of activities such as the island tours, and for those with a little more get-up-and-go can try the snorkeling, kayaking or both. Many of Diva’s guest’s preferred moment’s aboard is getting a famous customary Thai massage, or enjoy a tranquil moment with an ice cold cocktail there can be no better way to watch the sunset over the Andaman Sea to end the day. Nitrox is available for all those with the specialty if not we can even arranged for you to take a course. Diva has a twenty four metre Sq. 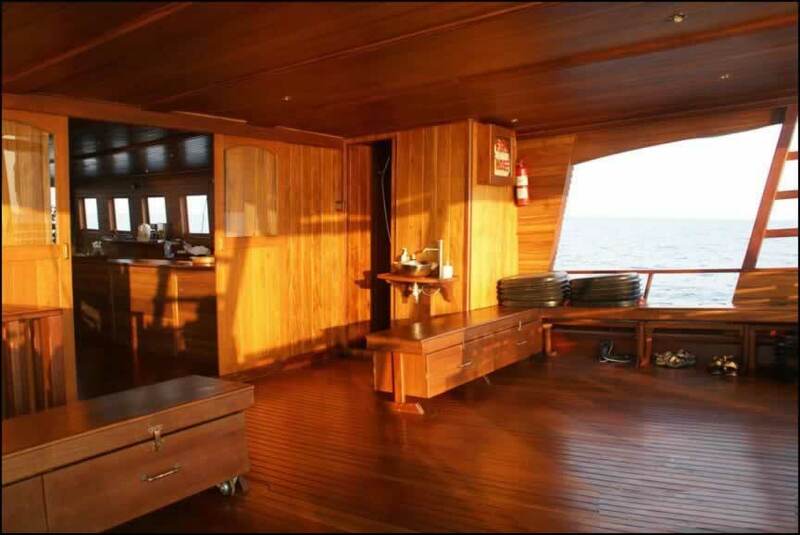 dive deck with fifteen metre sq. dive platform there are fresh water showers, toilets and rinse tanks, full use of the Sea kayaks. 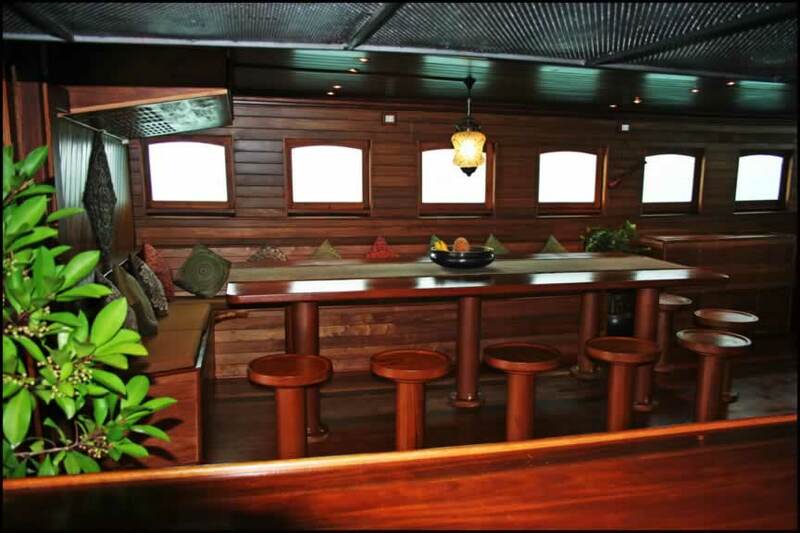 Onboard there is an eighty metre air-conditioned bistro with well stocked bar and there is also an open-air dining area on the central deck. There is a DVD player and TV, along with an extensive movie library and music system we have lots of Fish ID books, diving books, magazines and board games. There are also aboard a fifty sq. metre sheltered area with a hundred metre sq. sun deck there are comfortable deckchairs and sun mattresses to help top up your tan. Incomparable Thai and international dishes are served buffet style, in either the air-conditioned salon or you can choose to dine outside on the sheltered deck area. A waitress will tend to you, if there is anything we can do for you please simply just ask. Also there will be an abundant quantity of nibbles between meals to keep up your energy levels for the excellent diving and other goings-on offered. 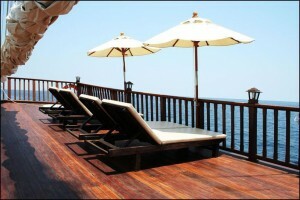 Board Diva Andaman in Chalong Bay, Phuket Island at 17:00. 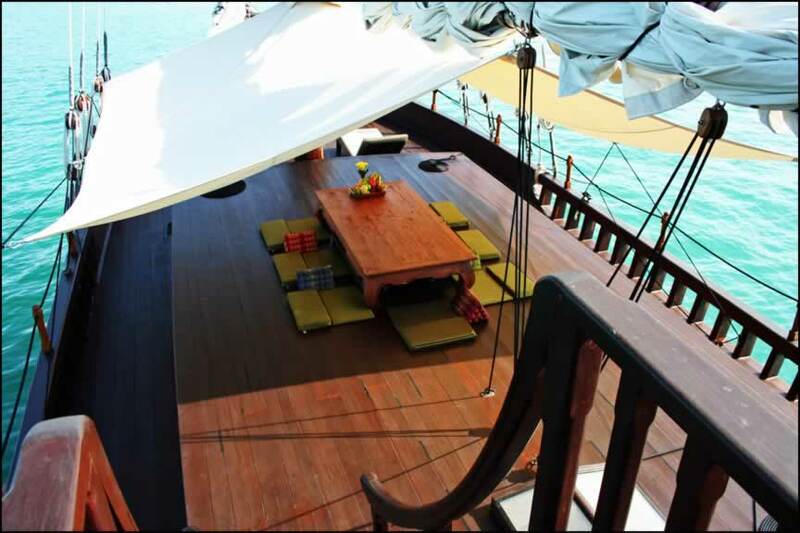 Dinner and drinks on board while sailing overnight to the Similan Islands. 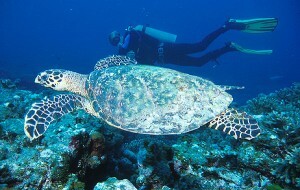 4 dives in the southern Similan Islands. 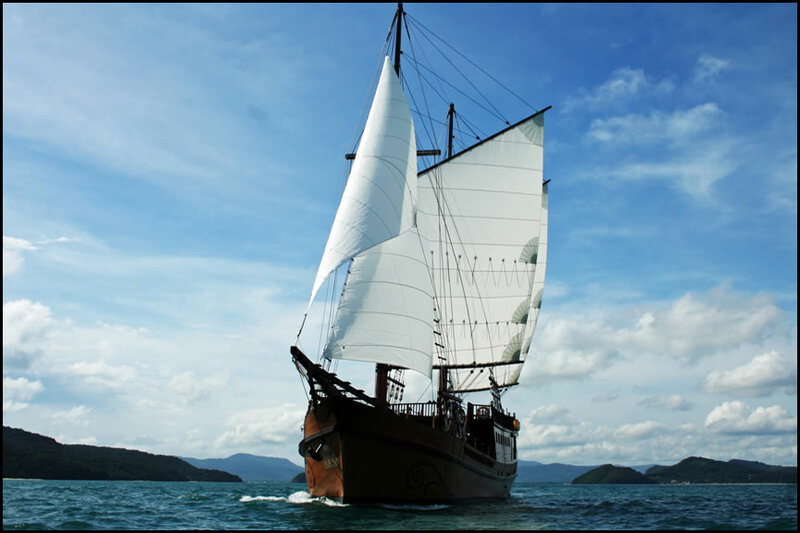 In the evening sail to the northern part Similan Islands National park. 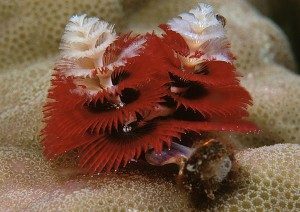 4 dives in the northern dive sites of Similan Islands. After Dinner set sails for Koh Bon Island. 2 morning dives around Koh Bon Island. 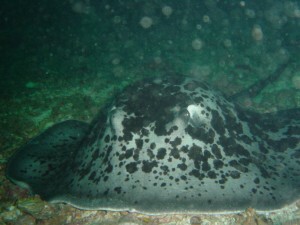 2 afternoon dives at Koh Tachai Island. After Dinner set sails for Richelieu Rock. 2 morning dives at Richelieu Rock. 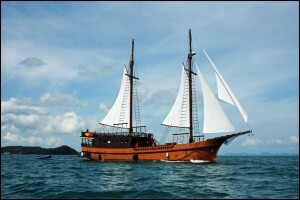 Sailing to Surin Islands for 2 afternoon dives. After Dinner sail back to the Similans. In the evening sail back to Phuket. Arriving at Chalong Bay in the early morning hours. Check out after breakfast at 10:00. Size – 34.5m x 7.2m. 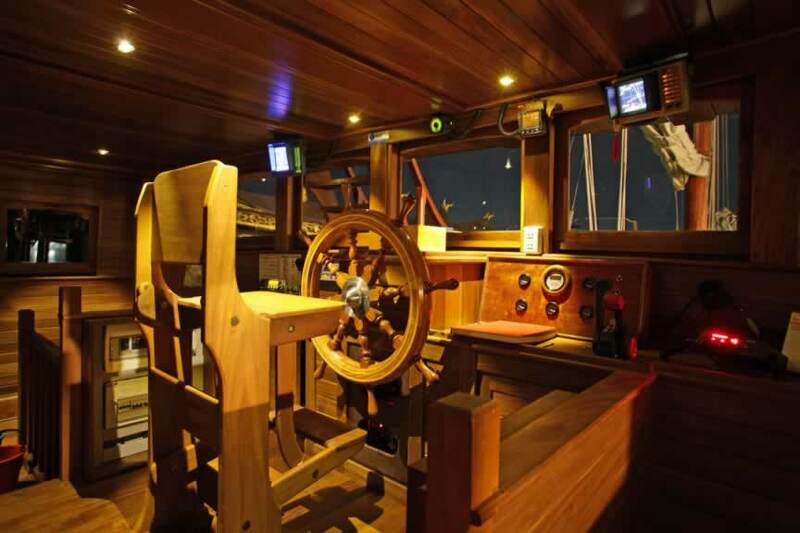 Top speed – 10 knots. Cruising speed – 7 knots. 1 x 425 HP Cummins engine. 2 x 40 KW Cummins generators. 12 litre aluminum tanks with international fittings (DIN adapters available FOC). Electricity 220V – 24 hours per day. Water capacity – 4,000 litres. Water-maker – 5,000 litres per day. Fuel capacity – 8,000 litres.